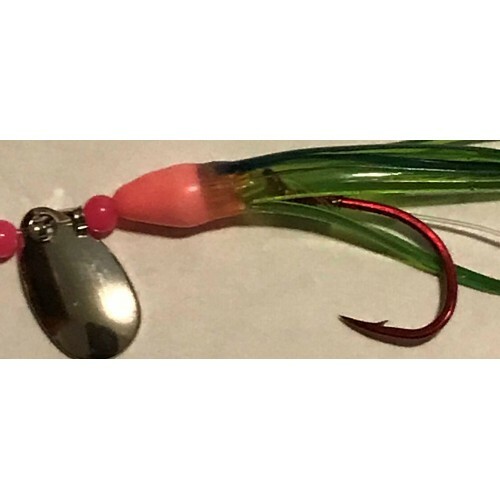 Glitter Bugs Micro Hoochie Watermelon Glow w/ Silver Blade 1 3/8"
Home » Glitter Bugs Micro Hoochie Watermelon Glow w/ Silver Blade 1 3/8"
Custom made lures by Glitter Bugs. These lures have proven to be one of the hottest fishing lures for Kokanee and trout over the years. They have been field tested and proven.